We are pleased to accept applications for the 2018 NAAE XLR8 professional development program. The program is sponsored by CSX Transportation as a special project of the National FFA Foundation. XLR8 is a year-long professional development program that targets agriculture teachers in their 7th-15th year of teaching. Click here for more information and to apply by August 20th. FFA has partnered with Agrotours to offer the new FFA Alumni and Supporters Agriculture Travel Program. Up to 48 alumni and supporters can participate in the inaugural travel program that will take participants on a tour through the Netherlands and Germany July 1-10, 2019. For more information and the application, click here. Now Open! Fall Semester-Long Living to Serve Grant Want to engage your students in hands-on learning, while meeting a community need? The 2018 Fall Semester-Long Living to Serve grant is now available. Apply for up to $1,200 to support a semester-long service-learning project that addresses a community need in one of four focus areas: Community Safety; Hunger, Health and Nutrition; Environmental Responsibility and Community Engagement. Need ideas for semester-long service-learning projects? Check out the interactive map at www.ffa.org/livingtoserveto review projects funded last school year. Additional information on the grant can also be found on the website. Applications are due September 1, 2018. Direct questions to LTS@FFA.org. How is your FFA chapter making a difference in your community? Day of Service Mini-Grants are available to middle school, high school and alumni chapters to make a difference in your community in one of four focus areas: Community Safety; Hunger, Health and Nutrition; Environmental Responsibility and Community Engagement. Applications are accepted on a rolling basis on the first of each month. To learn more about the Day of Service Mini-Grant, visit the Living to Serve Grants website at www.ffa.org/livingtoserve/grants. Great DEALS on a Variety of Tech Packages through CASE Online! Looking to amp up technology in your classroom as you implement CASE courses? CASE Online features five major components for implementing CASE curriculum in your classroom, including an online student version of the curriculum, flipped classroom videos, student assignment submission portal, national End-of-Course assessments, and an internal test generator for the teacher to create exams. CASE Online is a fee-based learning management system (LMS) based on student accounts. Don't need the entire LMS? CASE is offering fantastic DEALS on additional technology packages for your CASE classroom. Flipped video packages and teacher test bank packages are available for $75 per course. End-of-Course Assessment only packages range from $8-$10 per account. Have questions? Contact the CASE Online Learning Coordinator, Sara Cobb. A young woman is riding through the wilderness to promote better environmental practices. 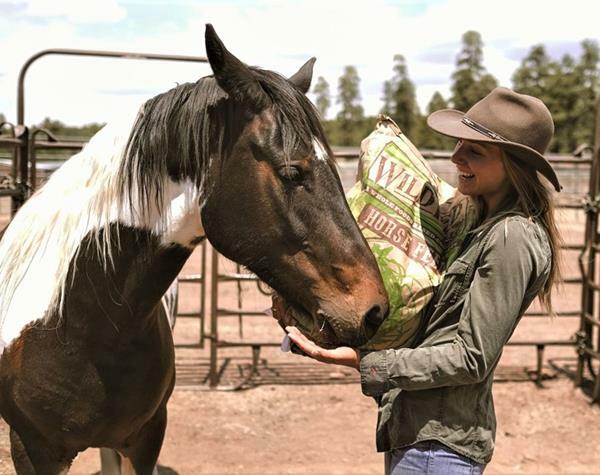 Friday, August 3, 2018: Efforts to control food waste, wildfires rage in California, and ag students visit diverse farms in Brazil—also, join a young woman who is riding through the country to promote environmental practices.